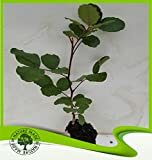 Carob trees for sale – Easy plant to grow with edible pods, mostly grown for the ornamental flowers and for the leaves, planting in cold area spring to autumn in warmer can be all year round, better to buy plant, grafted tree, male and female plant or another option to start from seeds yet more challenging. Blooming in the spring to autumn in antenna shaped flowers that appear in yellow, orange or red color. Fruit harvesting in the autumn in pod shaped flowers that appear in brown-black color. 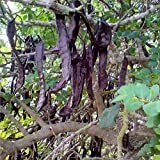 Carob trees for sale – What need to know before buying Carob tree? Need to know before buying Carob tree that some cultivars need to tree to bear fruit female and male, better to start from graft or air layer because it bear fruit earlier and can start with female that doesn’t need male tree.